DCM is a leading Silicon Valley venture capital firm with significant investments in China. The firm hosted a Chinese New Year celebration in China to demonstrate a strong commitment to the firm’s technology ventures in the country and to encourage networking among their investors and entrepreneurs. Our solution welcomes the Year of the Dog by using the company’s initials to create the Chinese lunar calendar animal. 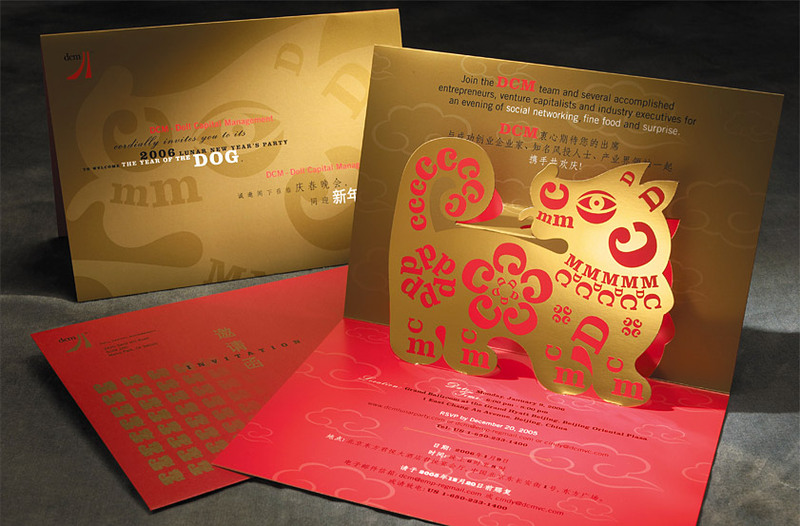 The invitation’s pop-up format signifies a bold, confident outlook for the firm’s technology ventures in China. The gradated pattern of rats on the back of the card and envelope playfully suggests the concept of attendees gathering to celebrate and network.